Marijuana Business Daily and Marijuana Business Magazine are accepting nominations through October 12 for the top "Women to Watch in Cannabis in 2019!" We're asking our National Holistic family to help us get out the vote for our own Dr. Chanda Macias! We are so proud of Dr. Chanda and feel lucky to be led by an incredible mother, scientist, entrepreneur, public speaker and healer. Her background as a Cell Biologist (PhD) led to her dedication and commitment to the healthcare industry. As owner of National Holistic Healing Center, we see firsthand her passion for improving the lives of her patients with medical cannabis. All nominations are reviewed by MJ Biz Daily's in-house reporters and editors. The top 10 nominees will be released in their January issue. 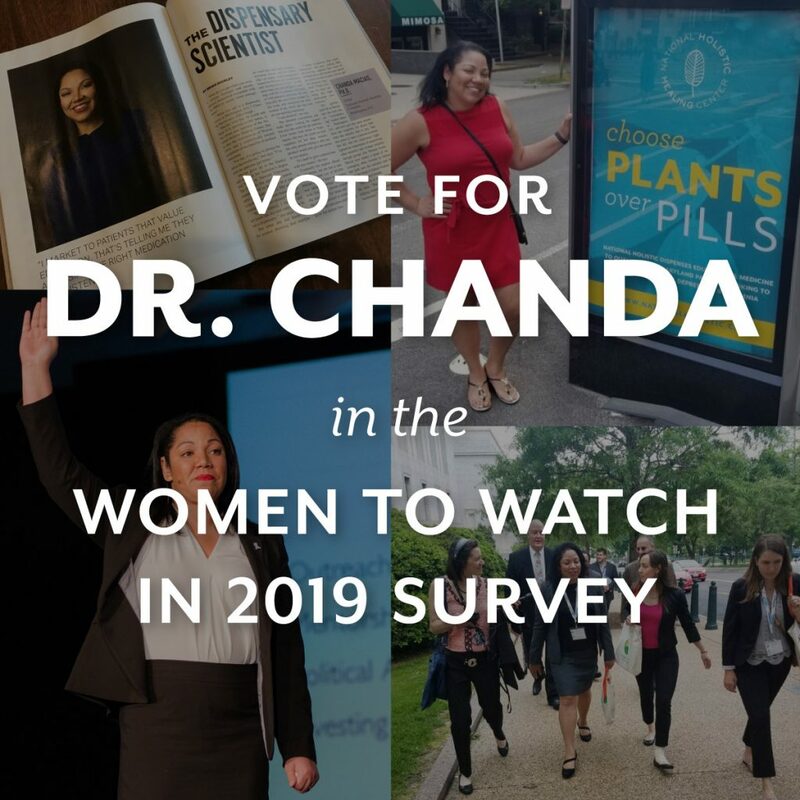 Fingers crossed Dr. Chanda makes the list, but we need you to vote and help us spread the word. All you need to do is fill out this short form (not all questions are required! ).